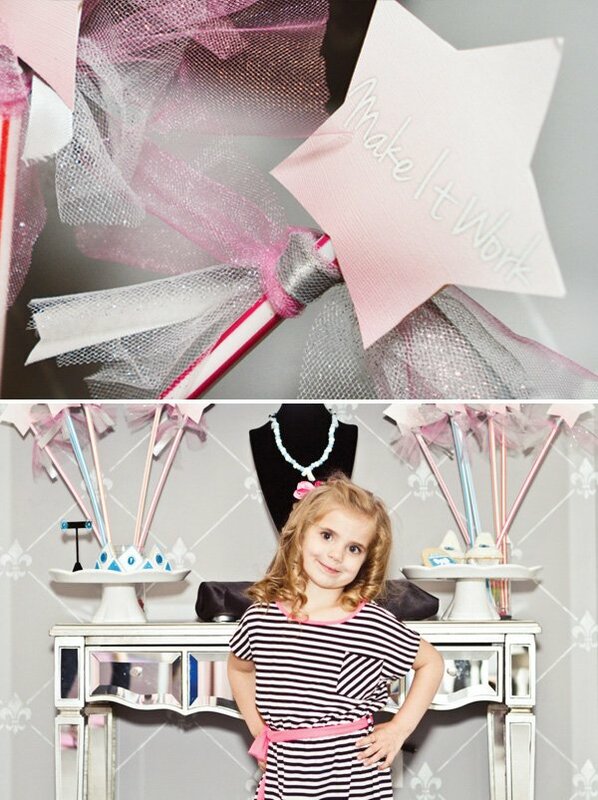 What a fun birthday party idea for any budding fashionista! 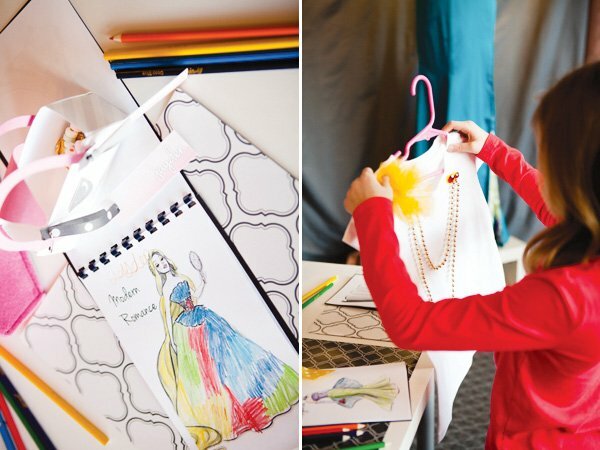 This “Project Runway“ Birthday Party & Fashion Show is filled with so much creativity – from themed activities like “fashion sketching” (coloring) and princess-inspired outfit design in “The Workroom” to a cool custom tutu station and trips down the catwalk! 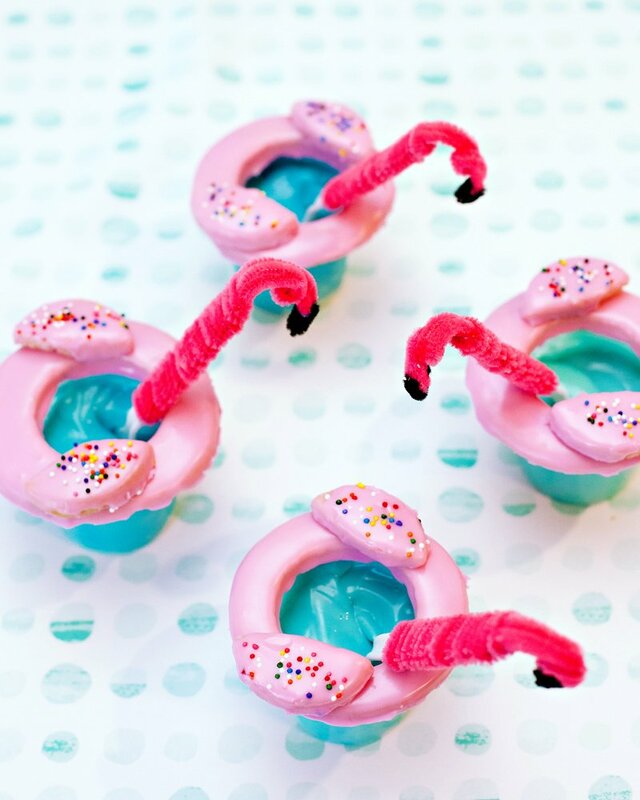 And there’s more… stay tuned for the incredible fashion-inspired desserts coming later today in Part 2 of this party, where “The Breakroom” will be covered in detail. Nicole, mom of birthday girl Charlotte, designs wonderfully creative parties and runs Million Dollar $mile Celebrations. (See more of her work here.) 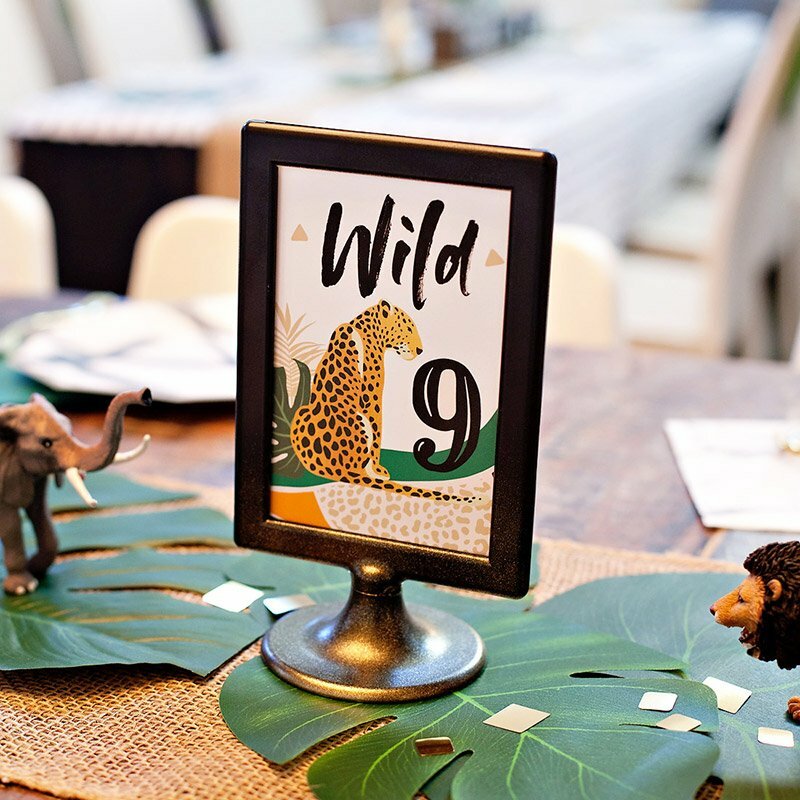 In lieu of gifts at the parties for her kids, guests are asked to donate to charities focused on children born with cleft lip & palate, and this event raised over $2K! See full list of benefiting charities below. The girls wearing their designs down the pink runway & posing for the camera! My daughter, Charlotte, requested yet another princess party this year, so I decided to put a haute couture spin on the royal theme. We watch Project Runway together each week and she has emerged with quite the eye for fashion, starting to recognize fabrics and gown silhouettes. It’s not every day you hear a four year old point out an ombre ballgown or color-blocked tunic. So, when I suggested Charlotte’s Royal Project Runway Fashion Show I had her attention… when I told her the ‘challenge’ would be to create a look inspired by a princess to walk the runway… I had the judge’s approval! Auntie and Grandma agreed to transform our bridal boutique into the venue for one special day. I truly wanted everything to be very authentic from the TV series including the designers’ workroom and break room, the famous ‘Accessory Wall’, make-up studio, and of course, the runway! 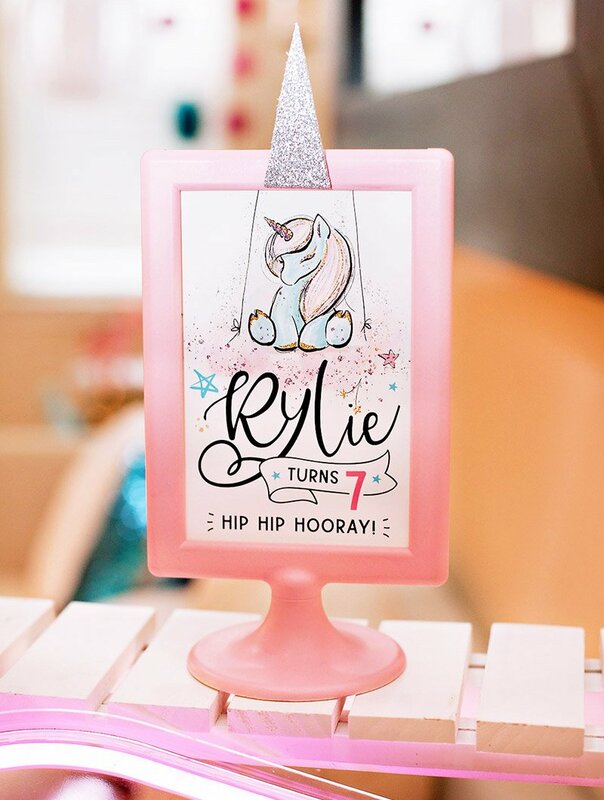 Adding a little Disney-inspired princess magic was easy. 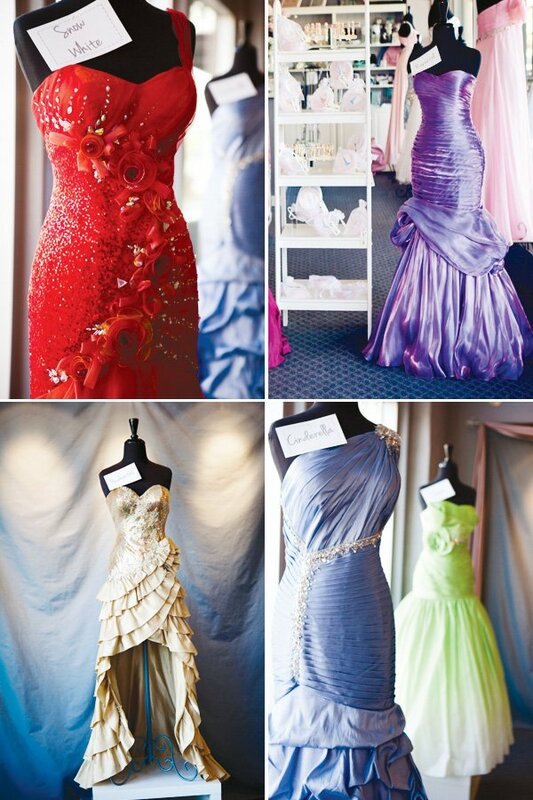 I decorated with evening gowns designed by Tony Bowls to set the scene highlighting gowns that could be ‘a look’ inspired by one of the ten fashionable princesses and added their iconic fashion elements into each detail of the desserts. 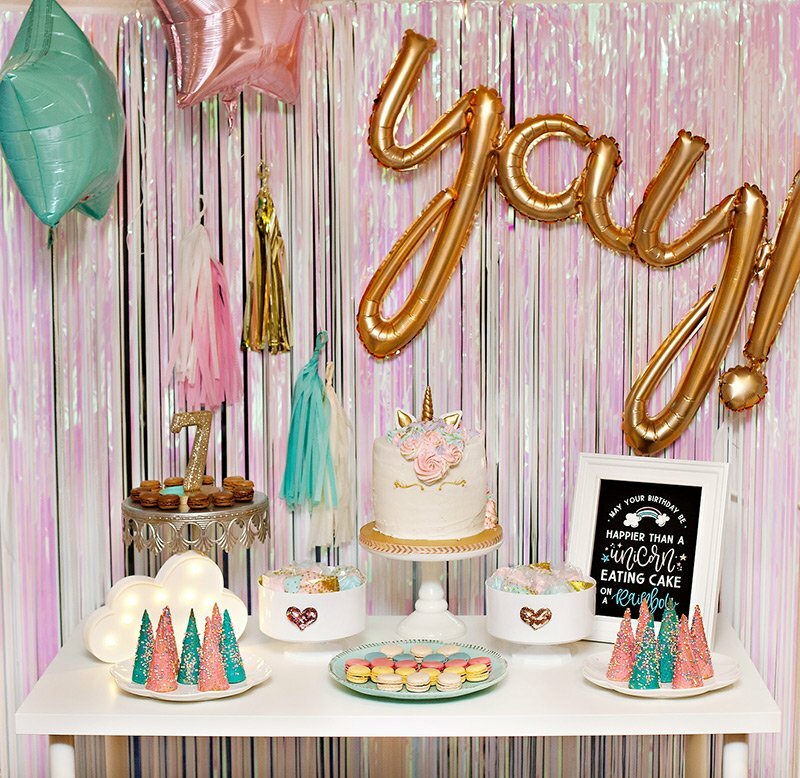 A splash of pink from paper rosettes from Designs by Mary Grace, Sweet Things tulle table skirt, and some DIY tulle poms set the stage for fashion and fun! The most glamorous photographers I know, Taylor and Kacey, from About Love Inspired Photography captured the event. 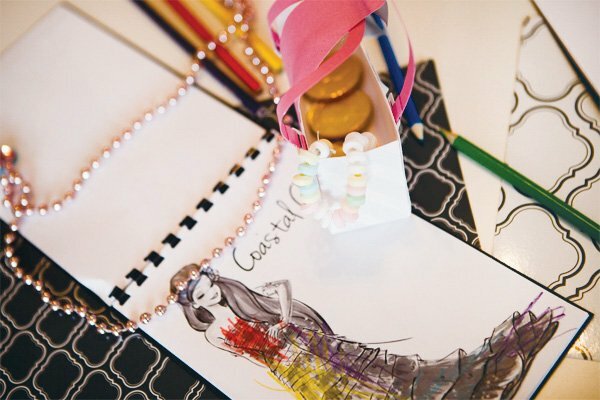 As the mini designers entered the party, they found a sketch book (DIY coloring book) with colored pencils at their individual work stations to begin their inspiration. In my best ‘supermodel’ host introduction, I welcomed the designers and gave them their design challenge. 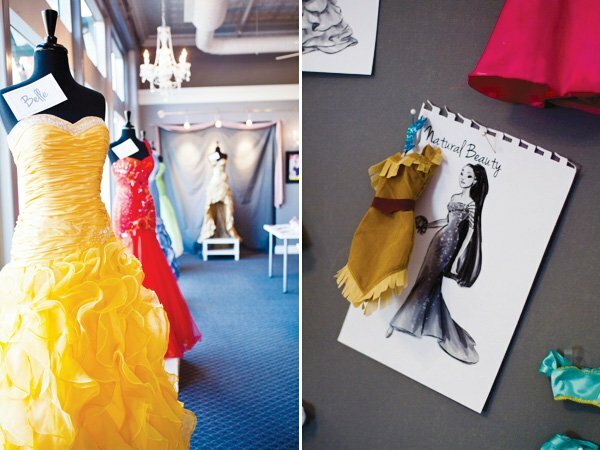 Of course, the first step was to visit Mood (the fabric store on the show) to select and purchase their materials for their custom princess attire. Luckily, each girl found a perfect paper purse created by Dez at PaperCandee, filled with a candy watch and chocolate coins labeled, “You will have ten minutes and three gold coins to spend at Mood”! 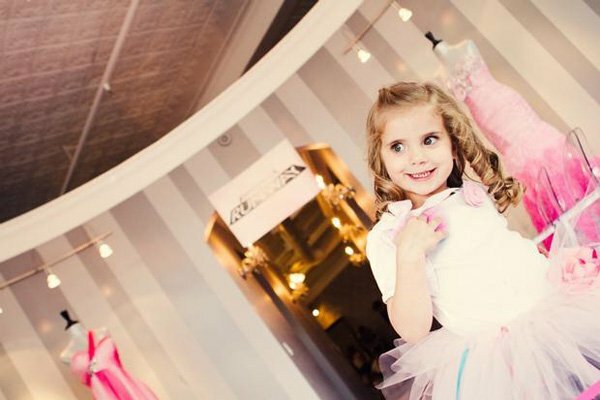 During their visit to Mood, each designer met with Julie and her design team from JuJu’s Tutus to select the custom ribbons, flowers and bows to adorn the tutu that was created and adorned at the celebration. 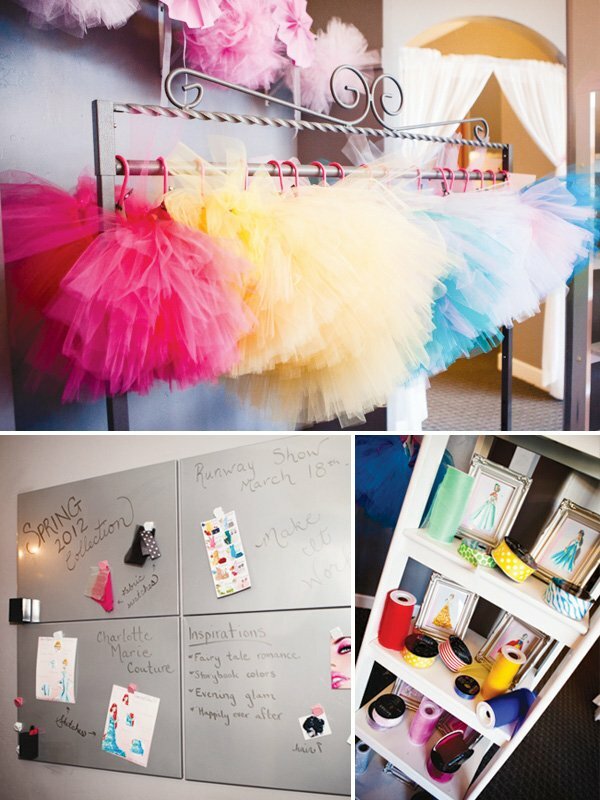 While Julie was busy customizing each tutu, each designer received a plain t-shirt and a ‘princess-specific’ box of decorative accessories to take back to their station and design. The t-shirts were prepared in advance by Grandma by sewing three clear snaps at the neckline… in addition, all the decorative goodies in the felt box (felt rosettes, tulle poms, necklace gems, bows) had been finished with the coordinating snaps. This genius idea (envisioned by my sister) allowed each girl to ‘design’ and ‘redesign’ their own shirt without any help from an adult, a glue-gun, or any messy crafting supplies. The end products were truly amazing outfits completely designed and created by the mini designers. 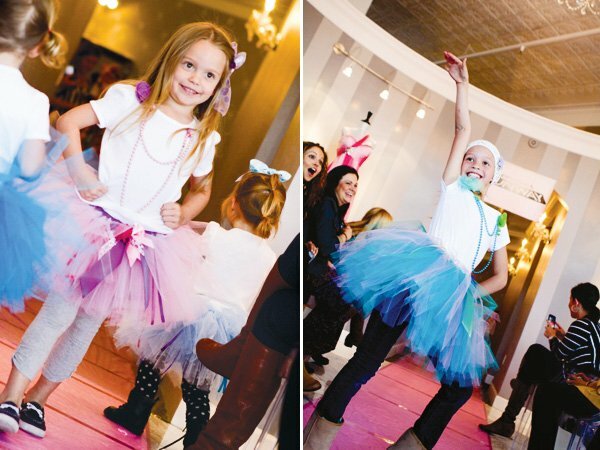 Juju’s Tutus really made this party from cute to couture! After a little happy birthday serenade to the birthday girl, each designer changed into her creation and lined up to walk the runway. 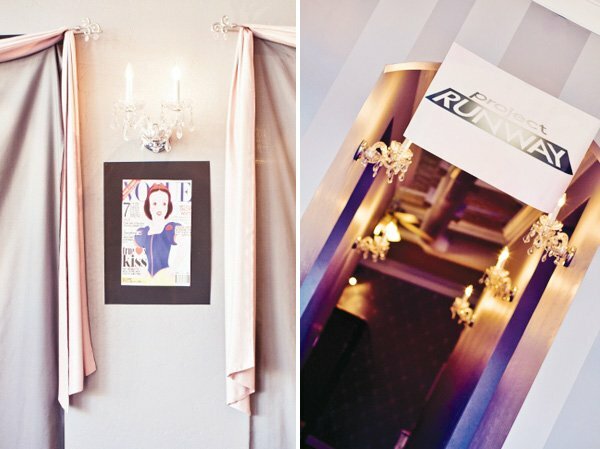 The entry to the bridal shop was lined with Louis Ghost chairs and a pink runway. The audience of family and friends cheered as each little lady proudly pranced, shyly sauntered, or delightfully danced down the ‘pink carpet’! Each designer was a big hit! Once again this year, we wanted to honor the charities, hospitals, and foundations that have and will continue to play such an important part in our lives as Charlotte grows more beautiful everyday as a child born with a cleft lip and palate. Almost four years ago, Charlotte underwent her first repair surgery and will again in a few months. 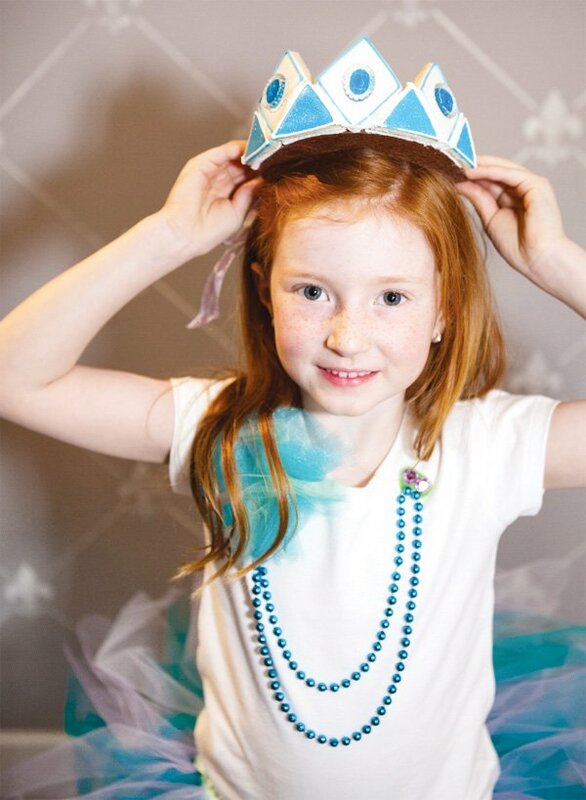 Each year, party-goers bring donations instead of gifts and we continue to spread awareness and support for the most common birth defect in America, affecting 1 in every 600 births, including our sweet Charlotte. This year’s festivities raised $2000 for several worthy causes including Operation Smile, Cleft Palate Foundation, Barrow’s Cleft and Cranio Center at St. Joseph’s Hospital, and Craniofacial Foundation of Arizona. 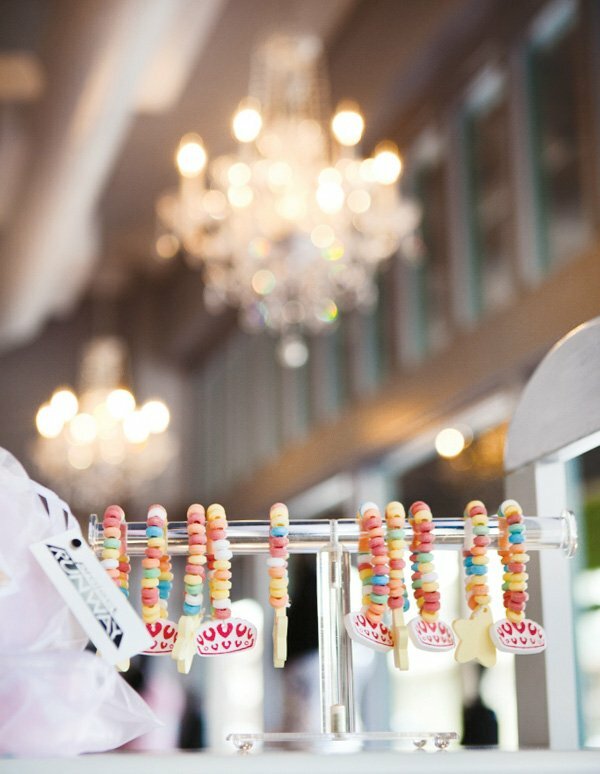 Charlotte thanked each guest personally for attending with custom ‘Cotton Candy’ (get it? 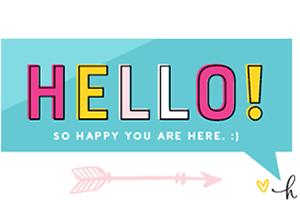 Cotton… like the fabric) favors by Dolly’s Sweet Dreams Cotton Candy. Like they say in fashion, “One day you’re three, and the next you’re four”! 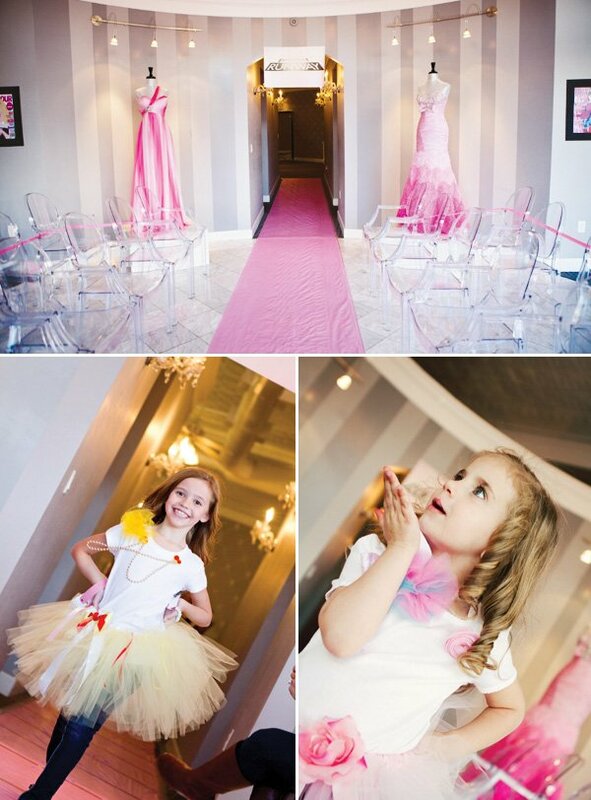 Thank you from the bottom of our fashion-lovin’ hearts for featuring our mini diva’s big day! 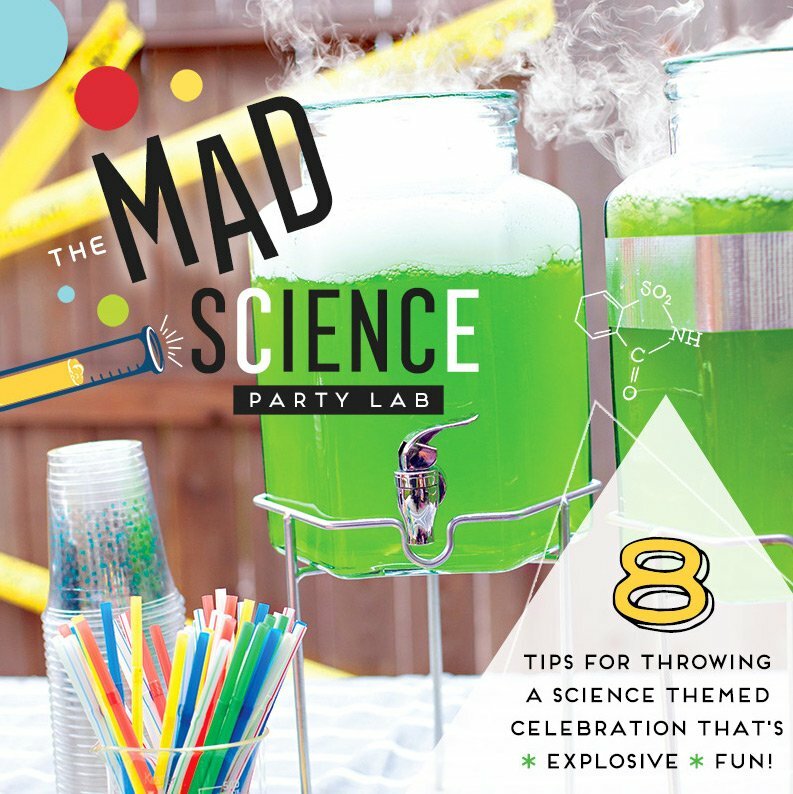 Thank you so much for featuring Charlotte’s party. 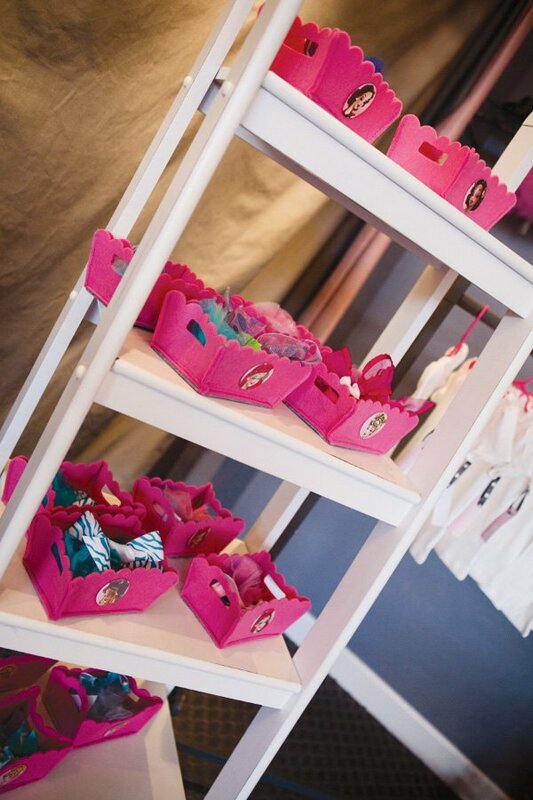 It was such an honor providing the tutu bar and seeing the joy on all of our little designers’ faces! This is such a great idea! 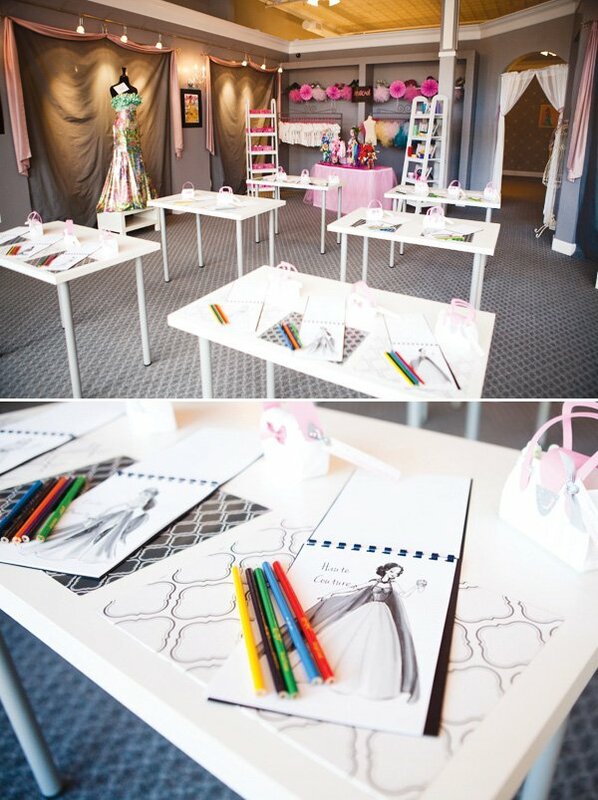 Will definitely have to plan something similar for my little niece and her friends. 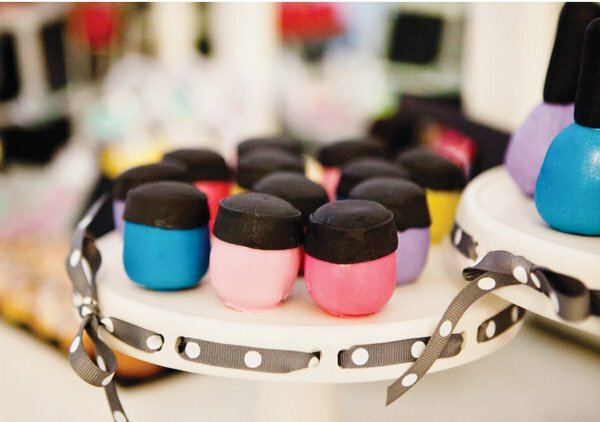 But, a dozen custom cupcake shoes can make a girls day extra sweet!!! This AMAZING party was over-the-top spectacular!!!! 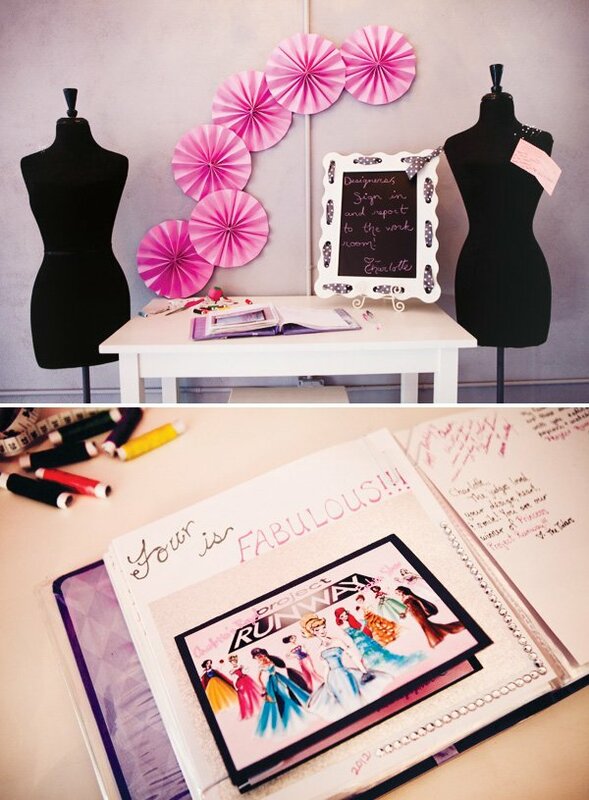 The decor, sweets, and DIY projects made every young, dreaming-designer smile (the Million Dollar Way)!!!! AMAZING PARTY! You did an AWESOME job! I was so glad I got to be there. Love, Aunt Judy. amo esta fiesta como quiero ser disenadora de modas combina con migo ajajajjajaja. Amazing party! Is there a place that we can buy the Disney Princess Sketches? They are beautiful! 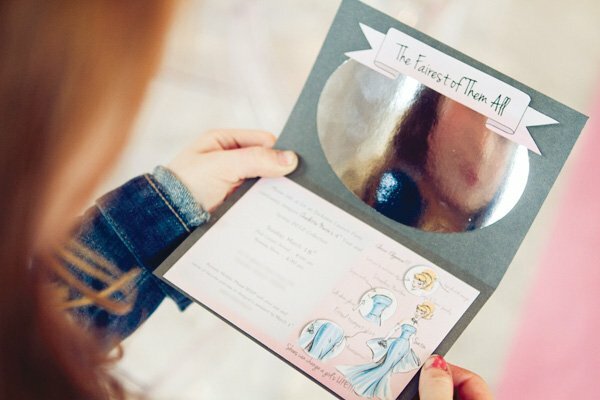 Was wondering how to do the mirror inside the invitations? I think Project Runway should have a Disney Princess challenge for next season's opening episode along with Elsa and Anna from Disney's Frozen included. They already have an American Girl challenge included this week. If they can do that this season why don't they do that with Disney Princesses?